The mission of our church is to be welcoming to all, united in service toward greater social justice for all, moving forward with understanding and acceptance of all peoples, and to create disciples of Jesus Christ for the transformation of the world. Woodridge United Methodist Church provides many opportunities for you and your family to connect with God and to grow spiritually. 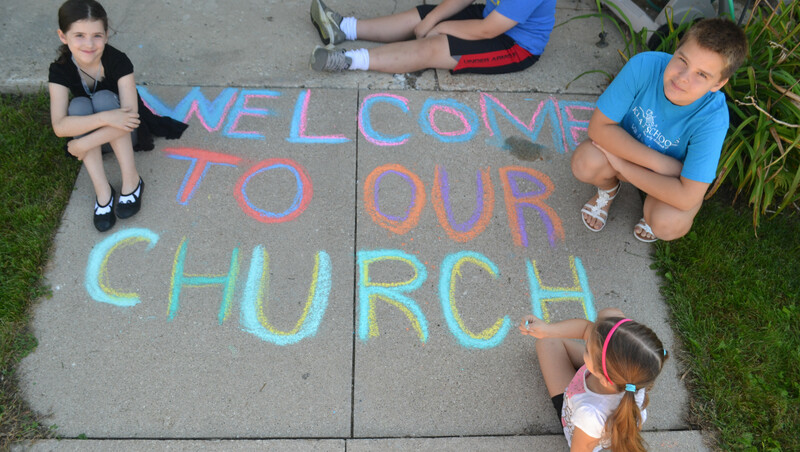 Are you looking for a church where everybody’s welcome? We’re all working at becoming more and more like Jesus. But at Woodridge UMC, we are passionate about showing God’s love in the world. We’re a pretty diverse group, and we’re involved in supporting fair trade, and efforts to end human trafficking, hunger, discrimination against LGBTQ people, homelessness, and bullying. Are you looking for a church family that cares? Our congregation not only shows practical love outside the walls, they love one another with prayer and practical help, too. From the prayer chain to bible study or Adventurers groups, caring at WUMC is not just for the staff. It’s an everyday reality. The United Methodist Church does not have a specific set of belief statements to which one must assent in order to participate. Here at Woodridge United Methodist Church we feel that beliefs are best understood and experienced as something we live into with our whole selves, rather than as some thought that merely resides in our mind. When you walk through the doors at Woodridge United Methodist Church, our hope is that you feel like you’re a part of the community. Here you will find people of all ages and people dressed in all kinds of ways, from t-shirts and shorts to suits. Here, you can comfortably be you. Our desire as a group of devoted followers of Jesus, is to create an environment where all people can experience the love of God in a life-transforming way. A heartfelt greeting is part of what makes a community. No matter what question you might have, just ask. Our greeters and ushers are there to help you get settled and comfortable. There’s nothing like the smell of fair trade coffee to warm you up. A casual atmosphere where friendships can form and relationships deepen. We laugh at ourselves often, even while we are serious about being a place full of the joy that comes from real connection with God and with others. We love all kinds of music. From traditional hymns to praise songs to prayerful chants and just about anything in between. Most Sundays include a variety of styles, whether lead by our Worship Band, our Choir, or our Music Director. But worship is more than music. Each week our prayers, readings, and message share a common theme. All we say and sing is rooted in God’s love for all people and our calling to do the same. Please note that our office follows the same emergency closing schedule as the Woodridge school district. If the schools are closed due to the weather, the office is closed as well. We will always hold worship services regardless of the weather. However, we ask everyone be mindful of their ability to travel safely before choosing to attend services.